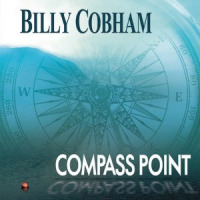 Jazz, Fusion pioneer Billy Cobham returns with a new band and a new look, featuring the electronic or digitally treated trumpet work of Randy Brecker. Cobham, as the liners suggest places a strong emphasis on composition and tight-knit ensemble work. Other than his now legendary work with John McLaughlin’s Mahavishnu Orchestra, his early 1970’s recording “Spectrum” which featured guitarist Tommy Bolin and keyboard whiz Jan Hammer is considered a modern day “fusion” classic. On “Focused”, Cobham and trumpet great Randy Brecker share the spotlight with keyboardist Gary Husband, bassist Stefan Rademacher and guitarist Carl Orr. In the CD liners, Cobham alludes to attaining a group feel with special consideration for compositional development as a driving force of sorts. Well, the results are somewhat mixed. The opener “Mirage” is a 10 minute funk opus featuring pleasing melodies and solid trumpet work from Randy Brecker; although, Brecker’s electric or “midi” sound may be an acquired taste for some. Cobham lays down a precise beat while Husband’s keyboard work is competent at best although, “Mirage” would have fared better as a 6 or 7 minute tune. Brecker’s, “The Sleaze Factor” is fairly laid back and features Carl Orr’s funk-style guitar work, as once again, Brecker is the prime soloist. Here, the somewhat raggedy or overly metallic tone of Orr’s guitar detracts from the ambiance of the piece and seems out of place. Gary Husband (himself, a fine drummer) fills in the gaps on keyboards yet his ruminations on the electric piano are less than exciting and at times lack imagination. “Walking In Five” is an older Cobham composition as the melodic choruses are pleasing to the ear; however, this tune could have been whittled down by a few minutes as we move on to Stefan Rademacher’s “How Was The Night”. At this juncture one may wonder when things are going to open up?! Randy Brecker performs another in a long line of fiery solos yet the feel of the album is starting to suffer from a sense of “sameness” At this point, the boys need to pick up the pace although Cobham’s terrific drum solo nearly saves the day. On a positive note, Cobham’s drumming is crisp, ever inventive and true to form. “Three Will Get You Four” features a good jazz vibe and another monstrous solo by Cobham while Orr’s “Nothing Can Hurt Her Now” is a lush, romantic tune displaying Orr’s finesse and fine technique with his sublime acoustic guitar work. Here, Brecker’s gorgeous, meticulous phrasing prevails as he deconstructs the melody and performs with heartfelt passion. The closer, Husband’s “Avatar” is a full-fledged burner as Cobham attacks his kit with flair and bad intentions while displaying his infamous and untouchable chops. “Mirage” does convey a “group” feel and the compositions are pleasant enough but if it weren’t for Brecker’s spirited phrasing/solos and Cobham’s brilliant drumming this CD could easily fall into the proverbial smooth jazz category. Bassist Stefan Rademacher and guitarist Carl Orr are no slouches and Husband is capable but in the near future the boys may consider becoming a bit “angrier” similar to a prizefighter yearning for the championship belt.